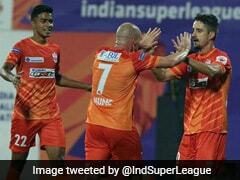 FC Goa came from behind with two late goals in a gap of eight minutes to edge past Delhi Dynamos 3-2. 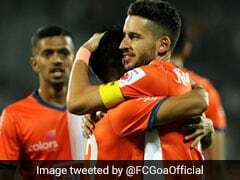 FC Goa's constant persistence to press harder up front paid dividends as the Gaurs came from behind with two late goals in a gap of eight minutes to edge past Delhi Dynamos 3-2 in an entertaining game of the Indian Super League in Fatorda on Thursday. Bikramjit Singh's long-range strike put the visitors in the lead as early as the sixth minute. It took almost 50 minutes and a change of side for Goa to find the equaliser through Edu Bedia in the 54th minute. However, Delhi found the gap in the host's defence once again to go 2-1 with a Lallianzuala Chhangte goal in the 70th minute. 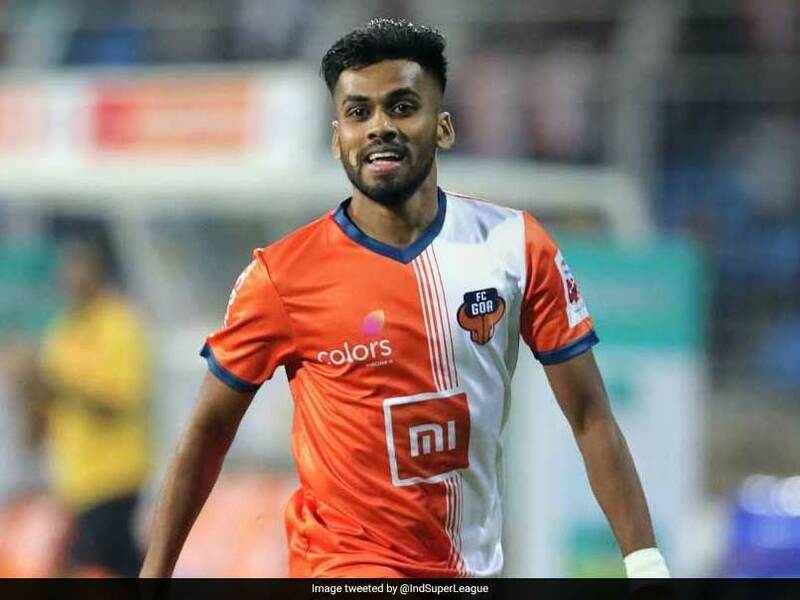 But the Gaurs known for their aggressive play breached Delhi with late goals by Brandon Fernandes and Edu Bedia in the 82nd and 89th minutes respectively. Delhi Dynamos drew first blood through Bikramjit Singh as early as the sixth minute of the match. The midfielder received Adria Carmona's pass on the edge of the box and curled a magnificent shot into the top left corner, leaving Mohammad Nawaz helpless in goal. Ferran Corominas looked hungry to score on his return from suspension as he forced Francisco Dorronsoro to a good low save to his right at the other end. Jackichand Singh crossed the ball into the box from the left and Goa's leading goalscorer skipped past defenders inside the box before pulling the trigger. 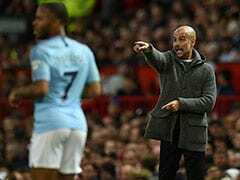 Seriton Fernandes' ball from the back allowed Lenny Rodrigues to dribble into the space down the right flank and deliver a teasing ball across the face of the goal that Dorronsoro's outstretched hands failed to meet. Jackichand Singh met the cross at the far post but directed his effort wide. Constant vigilance seemed to be the order for the Delhi defence as they thwarted Goa's forays forward with a well organized offside trap. Marcos Tebar missed a free header at the far post from a Carmona free-kick. Marti Crespi headed wide from handshaking distance from Carmona's free-kick at the stroke of half-time as the visitors threatened to pull ahead. 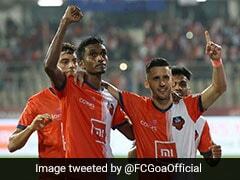 FC Goa's increased pressure on the Delhi defence after the restart yielded a deserved equaliser in the 54th minute. An excellent build-up saw Corominas release Mandar Rao Dessai into space on the left flank and the Indian winger's perfect cross into the centre was slotted home by Edu Bedia. Goa's midfield took control of the game after the equaliser and the hosts strung passes together in the attacking third to push the visitors onto the backfoot. 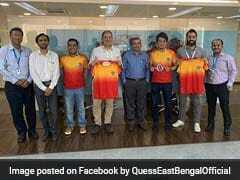 However, Mihelic's introduction gave Delhi renewed energy in the attacking third. Delhi's persistence was rewarded with a second goal in the 70th minute. Mihelic's cross into the box was backheeled into the path of Lallianzuala Chhangte by Nandhakumar from the byline. The young winger made no mistake from close-range to put the visitors ahead. Mihelic threatened with his cross again, this time from the right flank. Chhangte attempted a diving header from the centre of the box to guide the ball into the net but failed to test Nawaz. 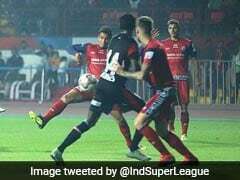 Lobera's response was to bring on Brandon Fernandes in place of Jackichand Singh and the substitute pulled the hosts level in the 82nd minute. The Indian winger picked up Dessai's pass into the centre and beat Dorronsoro with a powerful shot from the edge of the box. 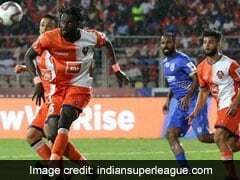 Goa found the winner in the 89th minute when Boumous delivered a delightful free-kick into the centre where Bedia glanced a header into the net. 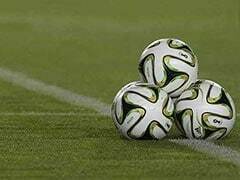 FC Goa beat Delhi Dynamos 3-2. Goa found the winner in the 89th minute of the game. Delhi Dynamos drew first blood in the sixth minute.